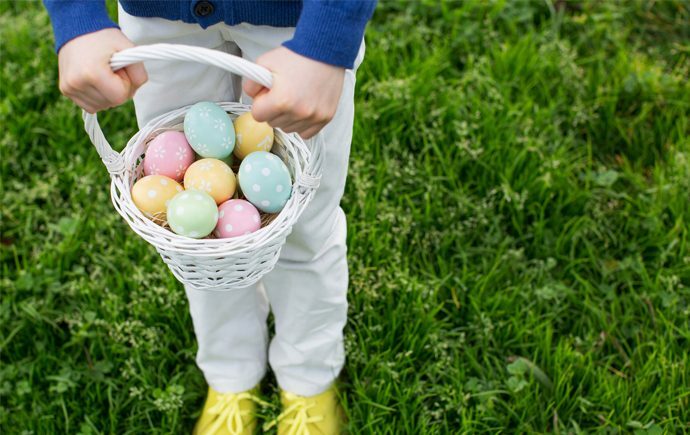 Whether you’re looking for the city’s best Easter activities or something that doesn’t involve bunnies or eggs at all, there’s plenty to keep you busy as our city welcomes the warmer spring weather. If you’re looking for ways to keep your family busy while the kids are off school, there are plenty of fun things to do around Calgary. Whether you’re looking to sing, dance, play or explore, there’s no shortage of fun things to do with your family in Calgary this March. 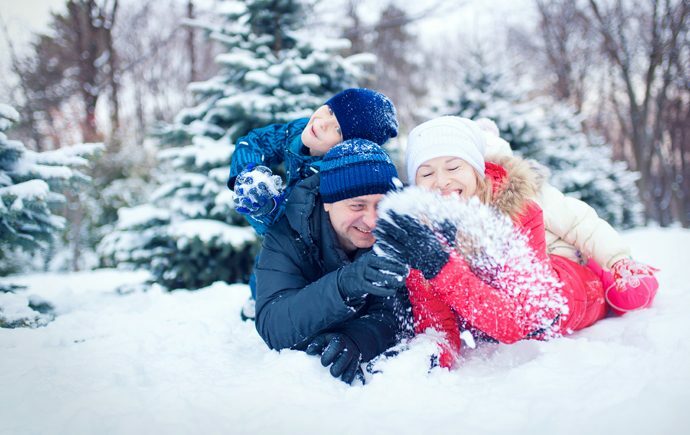 Family Day 2019 is just around the corner, and Calgary is bursting at the seams with fun things to do with your loved ones! There are plenty of great activities happening around the city in February that you won't want to miss, so throw on an extra pair of woolly socks and get going! From festivals to farmer's markets and even a chance to meet a unicorn, there's a lot of family-friendly fun stuff to check out this month in Calgary. Looking to check out some of the many family-friendly activities that Calgary has to offer over the break? Skating, skiing and tobogganing are just a few fun ideas, but there are plenty of indoor options to keep you toasty and entertained, too! This December, check out some of these awesome activities in and around the city; whether you’re in the mood to brave the cold, or would rather find something to do indoors, we’ve rounded up a list of 15 of our favourite things for you to do with your family this month. While Santa will be making stops at all of the major malls in Calgary, you’ll also be able to catch him at a few markets, restaurants, and even some pet stores! It’s a must-do every year and a lovely family tradition. The music, the floats, and the anticipation of seeing the big man himself. We love it all. Here’s where to catch the man in red around town this season. The city is full of excitement this weekend, from Flames Fan days to the Central Library Grand Opening. All these events are family friendly and a great way to spend some quality time in the city. Here's what's going on in and around Calgary this weekend, October 26th to 28th. Looking for some fun Halloween-themed events this October? Here's a round-up of Halloween adventures that are sure to please everyone. Here are some great ways to make some memories this weekend at these free (or cheap) family fests that the kids will love. Here’s everything you need to know to have a rootin’ tootin’ time as a family at the Greatest Outdoor Show on Earth. Celebrate Canada this long weekend with fun, family-friendly activities and events across Calgary. Easter is coming and the bunny is bouncing into town. This Easter weekend, there are some egg-cellent events in town, from the classic faves to free hunts. In all cases it equals quality family time. Here is our round up of Easter activities to explore. This flavourful festival runs the entire month of February with several of the city’s best chocolatiers, coffee shops and restaurants participating. It's a must-do every year and a lovely family tradition. The music, the floats, and the anticipation of seeing the big man himself...we love it all. Here's where to catch the man in red himself around town this winter. November is a great time to enjoy the fall colours, pumpkin-spice everything, and our last few snowsuit-free days. Here are a few things you can do around Calgary to help make the most of the next month. From picking the perfect one to preparing the ultimate jack-o-lantern, we're all pumped about pumpkins. So celebrate the season by visiting some of these pumpkin-themed fests. Here are our five fave fall fests in Calgary. Canada’s 150th birthday is something to celebrate! We’ve sussed out the best family-friendly events to get your patriotism on in and around the city. There are a bunch of things to do around Calgary this month, so we're rounding up a few of our favourite activities, festivals and, of course, Canada Day festivities. Here’s your guide to conquering June in Calgary and making it through this crazy month like a boss. 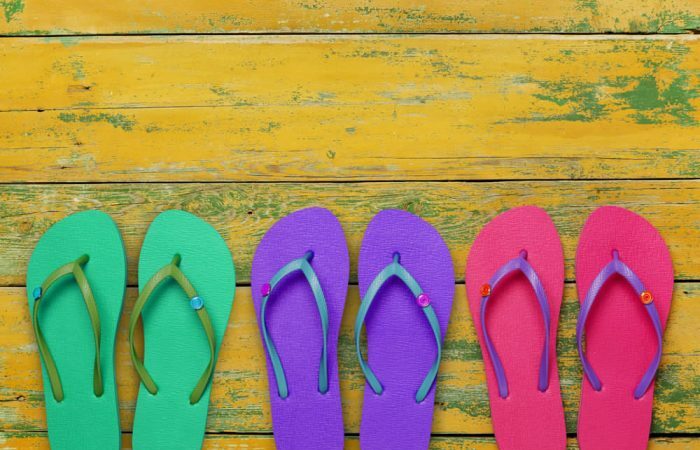 Here's your guide to making the most of the month: from a buzzy book to the trendiest patio accessories, here's what we're shopping for, eating, and doing this May. Do you feel that warm sunshine on your upturned face? Rejoice! Spring is officially here and we are all feeling refreshed and recharged. Here's our guide to making the most of April in Calgary. Want to make the most of March? Here's what to do, get, play, read, and more in Calgary. The best family and kid-friendly events on in Calgary this Family Day weekend. From what to do, where to go, and what to buy, here's how to make the most of February in Calgary. New month, new year, and we're all turning over a new page, right? No more lazy habits and living amidst the chaos. So, you're about halfway there. Feeling the pinch this season? Fortunately there are plenty of affordable activities for families in Calgary to participate in over the holidays. Here's a look at our favourite free and cheap excursions in the city. What to do, where to go, what to buy, what to read and more. It's the Savvy way to make the most of December in Calgary. What to do, read, buy, surf, eat and more during November in Calgary. Here's to making the most of the month with the Savvy Guide to November. I know we're not supposed to play favourites, but October is the best! After a sweaty September, we should finally get crisp fall weather perfect for pumpkin pie (and pumpkin spiced lattes, who are we kidding. Who remembers that Staples back-to-school ad from the late '90s? You know the one where the dad is dancing down the aisles while his kids glumly drag their feet behind him and ‘It's the Most Wonderful Time of Year' plays in the background? We're feeling the spirit of that commercial more than ever this year. Don't let all the back-to-school sales fool you, there's still a full month of summer vacation left and we intend to savour it. We are basking in the full glory of summer nostalgia right now. June is a busy month for moms, but it's the kind of busy that fills your heart and home with light, love, and laughter. Let's face it, Mother's Day will probably be lost in a jumble of burnt toast, macaroni crafts and brunches with the in-laws. Bust out the rain boots and dust off the bicycles. Spring has sprung, and we couldn't be more ready for it. Here's our guide to making the most of the month in Calgary. Spring Break is coming and the bunny is bouncing into town. This Easter, there are some egg-cellent events in town, from the classic faves to free hunts. In all cases it equals quality family time. Here is our round up of Easter activities to explore. Spring might not quite be here yet, but we plan on spending this month making sure we will be ready for it. From rain gear to Easter eggs, here's our guide to getting the most out of March in Calgary. A provincial holiday tacked onto the weekend—and for some, an extra two days because of a teacher's convention? Heck ya, we're taking it! Whether you can get away for an afternoon or are able to take a few days off in a row, here's a look at what's shaking in and around Calgary over Family Day weekend. We like to think of February as an excuse to give out more hugs and indulge in a little pampering. Here's our guide to making the most of this lovey-dovey month. Deep breath. With the hectic holiday season past, it's time to relax, regroup and look to the year ahead. Here's our guide to making the most of January in Calgary. Feeling the pinch this season? Fortunately there's plenty of affordable activities for families in Calgary to participate in over the holidays. Here's a look at our favourite free and reasonably priced excursions that promise to deliver comfort and joy to your brood. It's official—the holiday season has arrived! Here are our tips for minimizing the crazy while maximizing the fun. It's all here in our Savvy Guide to doing December in Calgary. Beginning on November 28 and running until Christmas Eve on select dates, you and your crew can make storytime come to life and take a ride on the Polar Express itself! Wear your pajamas, enjoy hot chocolate and treats, read along to the book and take part in caroling—led by the chefs on board! It's all set to the sounds of the movie adaptation of the book, and your kiddos will even receive—yup, you guessed it—a silver bell to commemorate the journey. Sure, November may have a reputation as that dreary month between Halloween and the start of holiday-party season. But that's why it's the perfect time to cozy up with the family before your calendar fills up. Here's our guide to making the most of November in Calgary. This Thanksgiving weekend, spend some quality time together—outside of turkey time, of course. Here's what's on in and around Calgary this holiday long weekend. With the kids settled in at school, we're looking forward to all the fun that October brings, from Thanksgiving to farmers' markets and—their favourite!—Halloween, of course. Here's our Guide to making the most of October in Calgary. Moms know that the new year really begins in September. This month is all about fresh starts and new beginnings. Here's our guide to making the most of this exciting time of year. August is here, and we're in the dog days of summer now. Our Savvy Guide to August in Calgary is here to help you rock the second half of summer while (slowly) making the shift to back-to-school season. While we love the Calgary Stampede, sometimes the smaller set can feel a little trampled by the crowds. Get your rodeo on at one of Calgary's smaller rodeos and county fairs that make for great day trips with the family. Here are some top western adventures to enjoy this summer. While we love the Calgary Stampede, sometimes the smaller set can feel a little trampled by the crowds. That doesn't mean that the kids can't get their rodeo on elsewhere. There are a whole range of smaller rodeos and county fairs that make for great day trips with the family. Here are some western adventures to enjoy this summer. Summer has arrived at last! Here's our guide to doing July in Calgary, and making the most of your family time this sunny season. When it comes to Canada Day celebrations, Calgary is tops. So be sure to pack up the water bottles, sunscreen, hats and snacks for a fun family day. Here are some great ways to take in our national birthday celebration. Ah, Dads! What would we do without their roughhousing right before bedtime, their creative approach to packing school lunches and their super comfy chest for wee-ones to fall asleep upon. This year, make Father's Day a family affair and take Dad to a joint right up his alley. It's the sprint to the finish line! June is jam-packed with school activities—spring concerts, field trips, class parties and more. Here's how to make the most of this hectic but happy month in Calgary. There's so much to love about May. The warmer days bring the kids outside to play, there's a long weekend to look forward to and, most importantly, it's Mother's Day. Here's our guide to May in Calgary. The spirit of invention is in the air at Cirque du Soleil's latest touring show, Kurios: Cabinet of Curiosities. Running in Calgary until May 24, families are thoroughly entertained as a procession of acrobats, jugglers and one special cat weave their magic through a spectacular set. It's time to dust off those bicycles and say hello to your neighbours. Spring is finally here. Here's how to welcome the new season with our Savvy Guide to April in Calgary. We made it! (Almost.) It's time to get ready for spring—even if (for now) we do it from the warmth and comfort of home. Here's our guide to getting the most out of March in Calgary. Winter in Calgary just got a whole lot sweeter. Cosy up with a steaming mug of cocoa while supporting a great cause. The YYC Hot Chocolate Fest runs throughout the month of February, giving families a tasty excuse to indulge their chocolate fantasies. February, we need to talk. We wish we didn't spend so many of your mere 28 days contemplating an escape to warmer climes, but sometimes your blustery weather gets us down. Here's our guide to getting the most out of February in Calgary. You'll fall in love with winter all over again when frolicking with your family at Ice Magic Festival in Lake Louise. You'll find a flurry of activities laced throughout the village that promise to melt the frostiest families. Oh, hello, fresh new year. The frenzied weeks of the holidays are past, and now there's time to take a breath. Here's our guide to starting the year off right in Calgary. We're in the home stretch of the holiday season and things may feel a little frantic right now. But before we know it, all the parties will be over, the presents unwrapped and the festive dinners eaten. And the kids will still be home from school. Luckily, the Christmas season in Calgary brings plenty of opportunity for good family fun, and we're rounding up our faves. Calgary's skyline gets a whole lot brighter at this time of year. Bundle up the wee ones and head out to see the dazzling Christmas-light displays as they illuminate the winter night sky. Here's a look at the best Christmas lights in Calgary. It's the most wonderful time of the year! It's also the busiest. Here's our Savvy guide to getting through December in Calgary with your sanity intact. Since there are no long weekends to celebrate this month, we have some suggestions to get you through the post-Halloween trauma that is November. Here's our savvy guide to making the most of November in Calgary. ‘Tis the season to celebrate all things fall—and pumpkin. Here are 5 fall festivals around Calgary to enjoy with the whole family during the month of October. Turkey and treats…that's what we think about when October comes around. It's a great month for giving thanks and trick-or-treating. Here's our guide to getting the most out of this super-sized month. Here's the Savvy Guide to October in Calgary. Have you ever found a Jackson Pollock on your walls, or discovered strange concoctions in the kitchen? Or perhaps you've witnessed dinner become a tiered structure in a matter of minutes. If so, you've got a Beakerhead in the house. Brace yourselves. It's that time of year again. September means the end of summer (sigh) but it also means a new year and a fresh start. Get back-to-reality with our Savvy Guide to September in Calgary. Seize all of summer. There are four very full weeks left to play, chill, read and connect with your kids. Enjoy, with our Savvy Guide to August in Calgary. When the hay starts flyin' you know it's time to corral the kiddies and gallop over to the Calgary Stampede. Here's a look at what's new and notable for families this year. Find the right fest for your family this summer with our 2014 guide to Family-Friendly Calgary Summer Festivals. While the actual arrival of warm weather in Calgary is a celebration in itself, hitting some local fests should definitely be on the ‘to do' list for the kids. So take note of these family friendly festivals and get ready to soak up the Vitamin D! Fill your Easter baskets with chocolatey treats whipped up by your very own mini chefs during this hands-on family cooking class at Cuisine et Chateau. March is a bit like November—except that the kids are home from school for a week. But that's no excuse to wish this soggy month away. Make the most of it with these tips on how to have fun while you're dreaming of warmer weather. Remember, spring will be here soon (read and repeat often). We're packing a whole lot of love into this short little month with Valentine's Day and a long Family Day weekend. We're also getting ready to cheer on our Canadian athletes in Sochi. There is much to do so get ready with our guide to Feb. The holiday are here. Once the novelty of hanging around in your pyjamas has worn off, you'll find this quintessential list of the 12 best places to take the kids in Calgary to be your new bible. We know it's December but there's really no need to panic. Remember that this is a time of joy and celebration and mandatory family fun. Here are a few tips to help you make that happen. Find out more. Fill the time between Thanksgiving and Christmas with family fun, activities and recipes, all in our guide to November. Find out more. Take in these top performances over the next three months, and make every moment of outdoor time count. Spring Break is all about breaking out of routine. Here are our recommendations on what to do with the kids. Find out more. Check out our guide to this green month to help you get ready to march into March with a spring in your step. Find out more. It's February and that means it will be Valentine's Day soon. So don't be a grouch. Share the love with everyone around you—and let the kids soak it up. Find out more. Dreaming of a white Christmas in Calgary is a pretty easy feat. Here are six shows to see with the kids while prepping for the upcoming festivities. Every wicked witch knows that there's plenty to do in the days leading up to the haunted holiday. Here are eight Halloween events in Calgary. Those boots were made for walking…to some fun and fabulous festivals happening around town. Here's a roundup of our nine festival picks for your family. Are you looking for something other than an egg hunt this weekend? Here are the places to be this Easter.